In this well known case, the House of Lords considered the concept of a “work of artistic craftsmanship”, one of the categories of work protected by copyright under section 3(1)(c) of the Copyright Act 1956 (and now section 4 of the Copyright, Designs and Patents Act 1988). 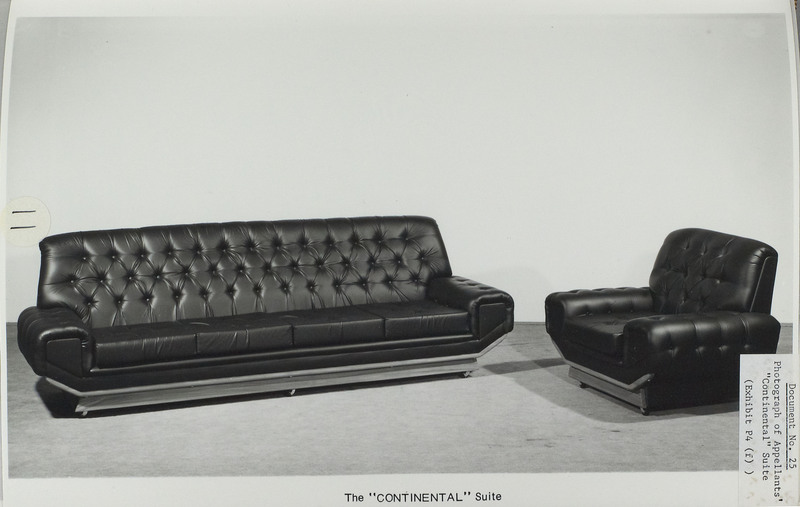 The case concerned claims to copyright in a prototype for a suite of furniture designed and produced by George Hensher Ltd. 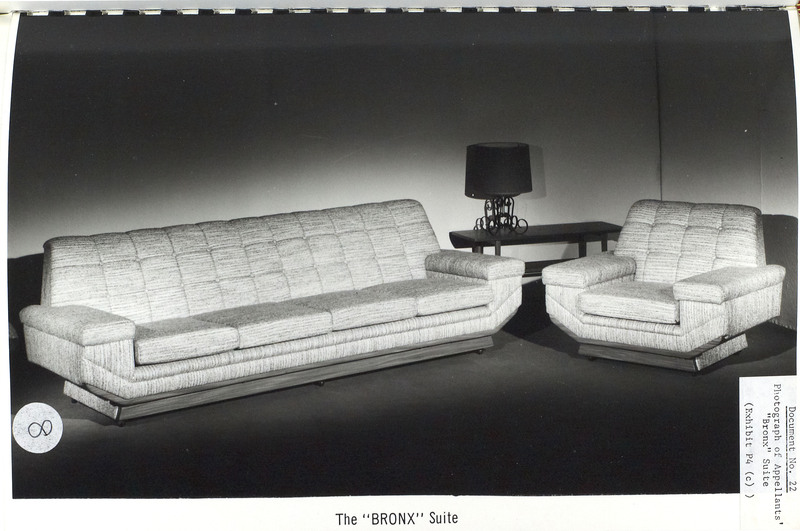 The mass-produced furniture was sold under the names “Denver”, “Florida”, “Bronx” (with variants of the Bronx suite known as “Manhattan”, “Atlantic” and “Continental”. All these are depicted here. Hensher claimed that the Defendant infringed copyright by making and selling its “Amazon” suite (not depicted). 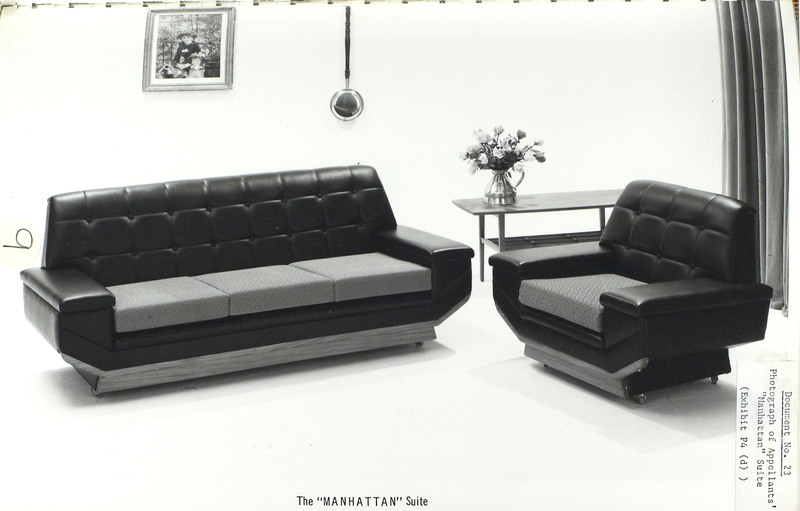 Graham J found the prototype of the furniture to be a work of artistic craftsmanship and granted Hensher an injunction. 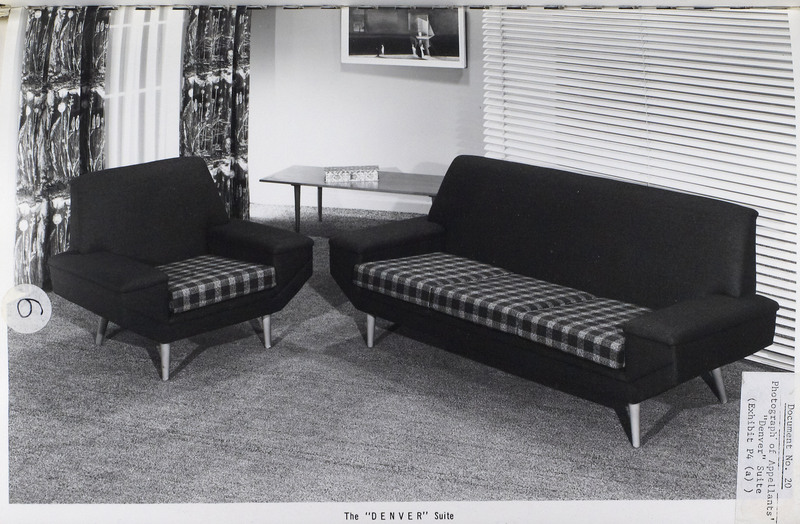 Even today when the expert witness for the plaintiff, Mr Ron Carter, looks back, he recalls having been astonished and disoriented when he entered the courtroom and encountered the two suites of furniture juxtaposed and placed in front of him. 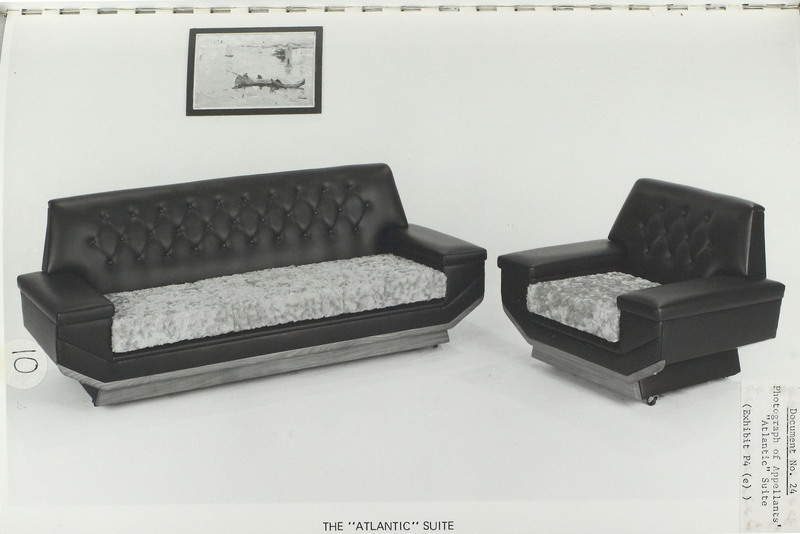 Since the original prototype had disappeared, the lawyers representing the plaintiff tried to sketch the furniture suite first on paper, via photographs (see the pictures illustrating them), drawings and descriptions. 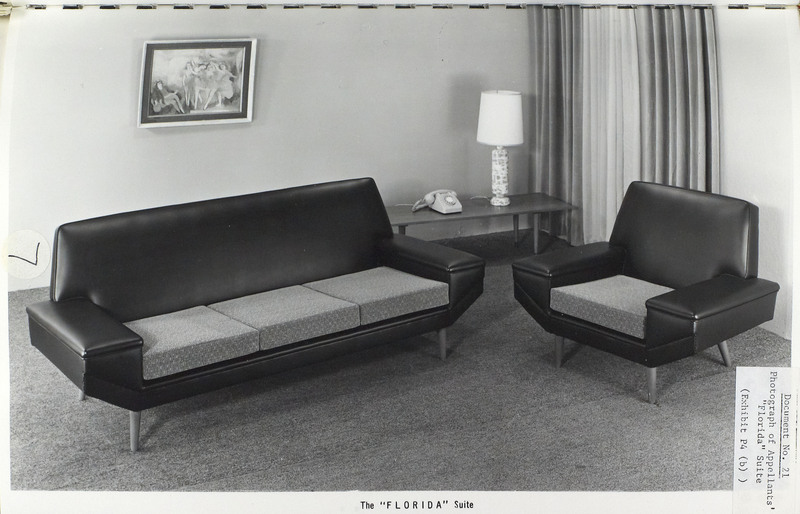 The expert was motioned to interact with the furniture placed in front of him in very particular and meaningful ways. In order to inspect and interpret the three-dimensional exhibits closely, he was asked to distinguish them by looking at the chairs from the back and when they were upside down. More interestingly, he was required to tip them up in order to enable him to see their different “construction” more effectively. Graham J., the trial judge, was “particularly impressed” by this way of producing evidence and held for the plaintiff. The Court of Appeal reversed on the question of whether the work was protected, taking the view that Graham J had failed properly to consider whether the work was “artistic” and had contented himself with the idea that all that was required was a work of craftsmanship “of original design”. The House of Lords affirmed the Court of Appeal decision. The appeal judges and the House of Lords - as Professor Cornish once described- “took pages of convoluted agony” to agree that the suite of furniture was not a work of artistic craftsmanship. The case rapidly became one of the most controversial precedents in the history of British artistic copyright law. The case has captured the imagination of many scholars because of the different approaches developed by the Lords to explain why it was not a work of artistic craftsmanship.